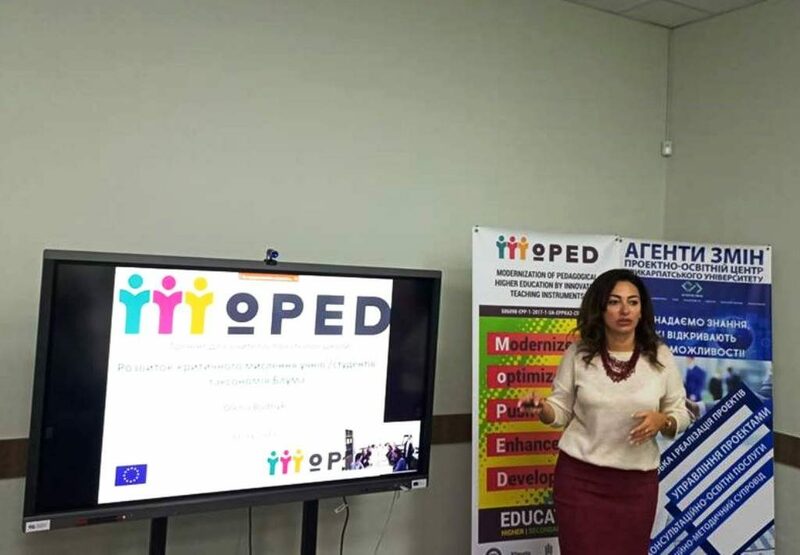 On April 11-14, 2019, Vasyl Stefanyk Precarpathian National University hosted educational training for primary school teachers of the Precarpathian region in the framework of the international project Erasmus + “MoPED – Modernization of higher pedagogical education by innovative teaching instruments” (No. 586098-EPP-1-2017 -1-UA-EPPKA2-CBHE-JP). Trainers Prof. Olena Budnyk and Associate Professor Tetyana Blyznyuk presented the best European practices in teaching students and discussed with teachers the following issues: “Development of Students’ Critical Thinking: Bloom Taxonomy”, “Formative and summative assessment of primary school students’ learning outcomes”, “Women at STEAM: Issues, Challenges and Achievements”, “Open school model: foreign experience”, “Criteria for success and lifelong learning” and others. 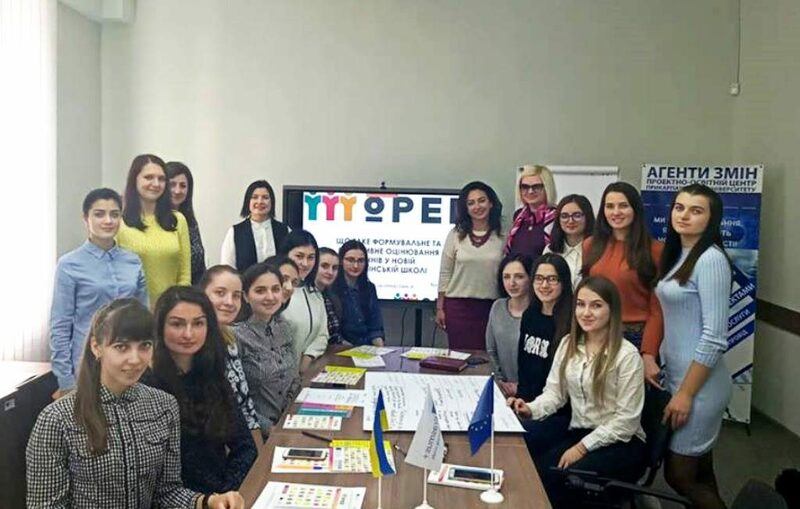 The participants of the training have been particularly interested in Inquiry Based Learning techniques and tools for teaching STEM subjects in primary school, including online / virtual labs and simulations in the educational process, Inquiry Learning Space for primary school students, and pedagogical capabilities of online service KAHOOT for creating didactic games, quizzes, tests, and more. 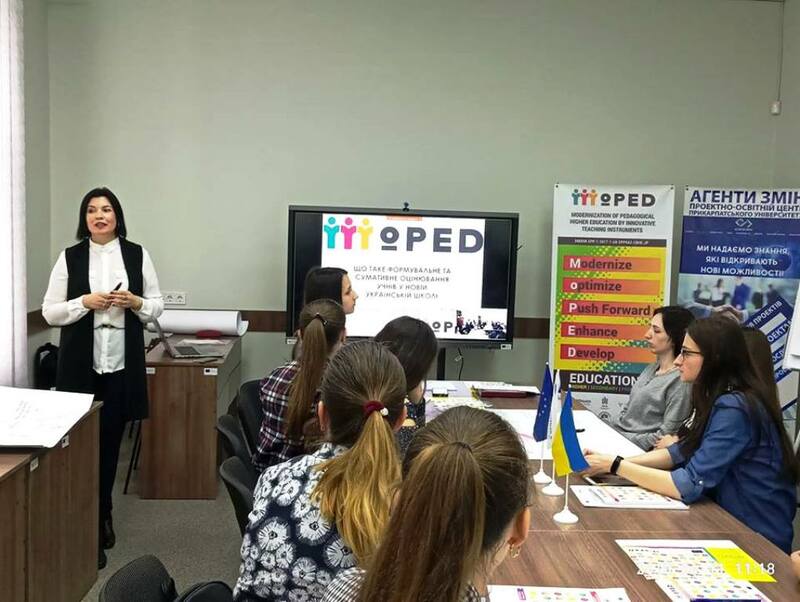 Training for primary schools teachers of the city of Ivano-Frankivsk and region were conducted on the basis of training seminars by European partners from Deusto University, University of Cyprus and and AGH University of Science and Technology in Krakow. All the participants received certificates of advanced training.